I'll throw the first stone. This is not a political post. This is a post that will, just in case there was EVER any confusion, clear up exactly who The Farmstead is and what we stand for. But first. Let me say this. I was sexually assaulted while serving in the military. By a group of men. Who were wearing the same color uniform as me. In order to do it they had to rip a flak vest off of me. A vest that weighed about 20 pounds. Another word for flack vest is body armor. Turns out, when a bunch of cowardly men are pulling and tearing at every inch of your body, it's kind of worthless as armor. Why am I sharing this now? Because the war on women is real. Because cowards get stronger in groups. And because these cowards have chosen a Presidential election as their official coming out party. This post, this stupid little drop in the bucket, this is my rallying cry. I hate confrontation. Hate it. One time someone came to the farm, I loaded up some laying hens in her car, we got to chatting, and she forgot to pay. I knew it. I knew the entire time we were talking that she hadn't paid me yet. But instead of saying something I let her drive off. I'm better about handling financial transactions now (because truly, the life of the farm depends on it), but it still gives me hives. What I'm not so great about is calling people on their hate. Their victim shaming. Their misogyny, their bigotry, and their racism. In the past I have always lived under the conviction that I will conduct my life in a way that holds true to my views and I will not associate with people who don't align with those values. I'm still going to do that. But I'm also going to have a stronger voice. If I don't share my experience then it remains a secret. If it's a secret then we get lulled into a belief that this disgusting reality doesn't actually exist. I am here to tell you. It exists. And not just against women. These hateful acts, directed at people because of their religion, ethnicity, gender orientation or sexual preference, are happening all over our great country. I married a man who puts women, all women, on a pedestal. A man who cherishes and rejoices at the diversity of all human beings. A man who, when I told him I was going to write this blog post, told me he was proud and honored to be married to me. Which of course, makes me the lucky one. I get to run this farm of my dreams with a man who never talks down to me, never thinks that my ideas are less than, and would never even entertain the idea that he is "superior" because he is a white male. 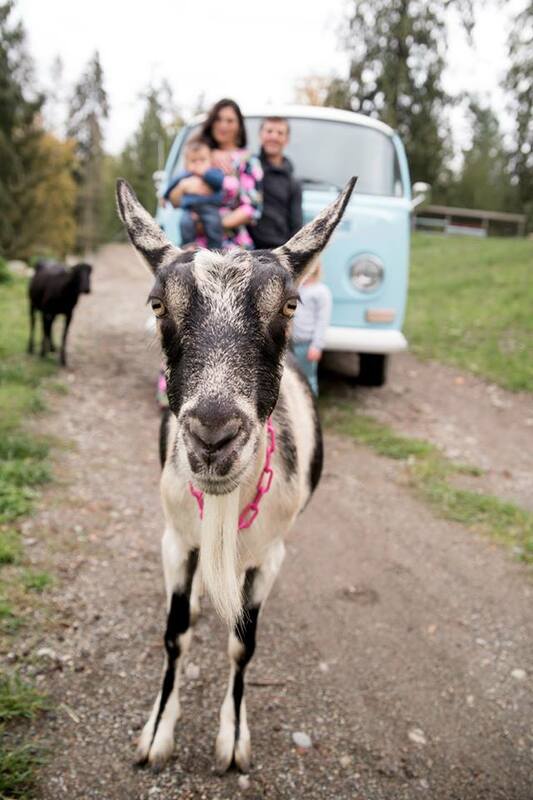 One of the most common questions we get asked is, "What kind of goats do you milk?" Our answer is always the same. We don't milk just one specific breed. Our dairy girls come from 7 different breeds and we are constantly breeding for more diversity. Not only does this make our herd stronger, it makes our cheese more unique and more flavorful. And we feel the same way about life. This is a post to say, officially and without any reservation, The Farmstead is a place that values ALL human beings. We don't care what color you are, who you like to cuddle with at night, what you identify as, who you voted for, or who you pray to. We care that you too respect the human race, that you value our earth as a living thing we must protect, and that you're willing to give goat cheese a try when you see us offering samples at a farmer's market. This is me throwing the first stone. Hoping that, in doing so, I am creating a ripple that will extend outwards, and help to shape a safer, more tolerant, more loving community. A community that lifts up and magnifies voices large and small and squashes cowardly bullies. As humans we have the ability to use our conscious brain to help biodiversity thrive. Let's try that.